Because of the natural look and feel of the porcelain and the functional stability provided by the implants, implant supported bridges are an effective solution to replace multiple missing teeth. An implant supported bridge is a dental bridge that is secured to two or more dental implants rather than relying on the adjacent natural teeth for support. 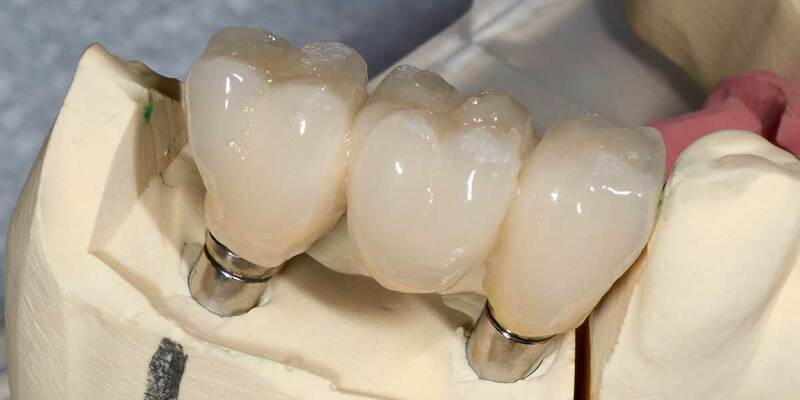 When a bridge uses natural teeth for attachment, the teeth must be prepared (shaved down) for crowns. Once the bridge is placed, the natural teeth will be subjected to increased stress that can be damaging – particularly if the existing tooth, roots, or surrounding bone structure are already compromised.